Tree Surgery & Gardening Havering RM | Quality Property Care Ltd. Does your turf have unattractive yellowish patches, and you have no plan how to resolve the problem? The fantastic news is that there is a trustworthy residence and commercial gardening company that could assist you with lawn mowing and care. The professional gardening services of Quality Property Care Ltd. additionally include gardening and tree surgery in Havering RM and garden design and maintenance in Havering RM at a fair gardening fee. You may also get help with weeding, leaf clearance,grass cutting, ivy removal, patio cleaning and a number of other expert gardening services in Havering RM provided by our professional gardening company. Do not waste any any of your precious time, and call our customer assistance phone line or send an online request for a quotation or a visit by a gardening crew for an on-site examination and price estimation. That is a service appropriate for ignored gardens which need a heavier equipment to get rid of overgrown plants, remove weeds, cut the grass, de-grass locations, de-limb trees and shrubs as so forth. It is furthermore appropriate for customers who are seeking to take away already accumulated grass trimmings, plants, limbs, hedges and so on. We could remove up to 180lb of weight totally free, nonetheless, additional fee will be added for greater quantities as the disposal of greater amounts costs more. As professional gardening provider our professionals can sustain a well groomed garden, with all equipment supplied by our staff. All you have to do is give us a call and we’ll dispatch to you a surveyor, he’ll meet you so he can check your home as well as consult with you about your suggestions and vision of how your garden should appear. Based on this, we can easily give you an estimate of how long will it take us and also how many hrs you’ll have to reserve. 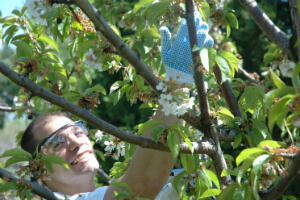 In the service we include things like tree surgery, de-liming, hedge trimming and care, watering, weeding, lawn maintenance, ivy elimination, planting of flowers, roses, hedges, trees, pruning, pest control, orchard maintenance, garden junk removal - up to 180lb of garden waste totally free of charge! Typically our service covers the maintenance and developing of entire gardens, with specialised work for lawns, tree surgery, lawn mowing and care, reseeding, patching, fertilizing, watering, trimming, weeding and weed removal, tree trimming and ivy removal of up to 12 feet in height for trees. It’s also possible to remove entire trees, up to 12 feet in height. We can easily prune hedges, trim hedges, carry out garden clearance and leaf clearance with up to 180lb of garden waste entirely free. Extra clearance weight will be billed accordingly, and you will certainly be informed in advance. We gather and dispose of up to 180lb in garden waste and dispose of it ourselves. Quality Property Care Ltd. is so devoted to providing great end outcomes, that our service is accessible seven days a week even if the weather is awful. We come fully prepared with a wide range of materials and machines from lawn mowers to hedges trimmers, aluminium ladders, jet washes, grass trimmers, chain saws, shovels, scissors, hammer, brooms, tarmac, moon spade, weeding tools, weed kill equipment and electrical extensions. We do not assume you to offer anything so don’t worry about finding the adequate gear - we arrive well prepared! To have a perfect lawn you need to take care of not only the soil, but also the lawn itself. Frequent maintenance and trimming helps the turf to spread, generate much better root systems helping them to survive longer, nourish far better and simply just be better looking. To obtain a lush lawn we use a number of approaches that enable us to inject the soil with nutrients that feed the grass. Ordinary trimmings are also in order, not just to preserve it short, but to also make the grass spread more, as plant life frequently do when not permitted to develop in height. We have fall months lawn care, springtime lawn care, summer lawn care, lawn scarification, lawn aeration, lawn top dressing, and lawn feeding. All those services can be employed if our gardeners see that it is needed. Pick up your phone and dial 020 3746 4287 where our team of committed customer care representatives will take care of everything from reservations to updating you on our service. Call us any time, you can call us at any moment.